I have been using bloglovin' for a loonnggg time now but obviously as I've only just started a blog I haven't had any other need for it! Bloglovin' is a great way to keep up to date with your favourite blog's and also if you have your own blog it's a great way to socialise with other bloggers and make yourself more known! Another great thing about bloglovin' is that they have finally created an app that's available on apple for iphone's and ipad's, the best thing is it's free! On the app-store it says it's designed for the iphone 5, but is still compatible with the others. I only have an ipad, -and even then it's my mum's- but for those of you with iphone's its perfect for when you're on the go. You can get hold of the app here. The support team at bloglovin' are extremely helpful and will send you an e-mail containing tips on how to optimise your blog, so if you're thinking abut making a blog definitely take advantage of the help and featuers that they offer. 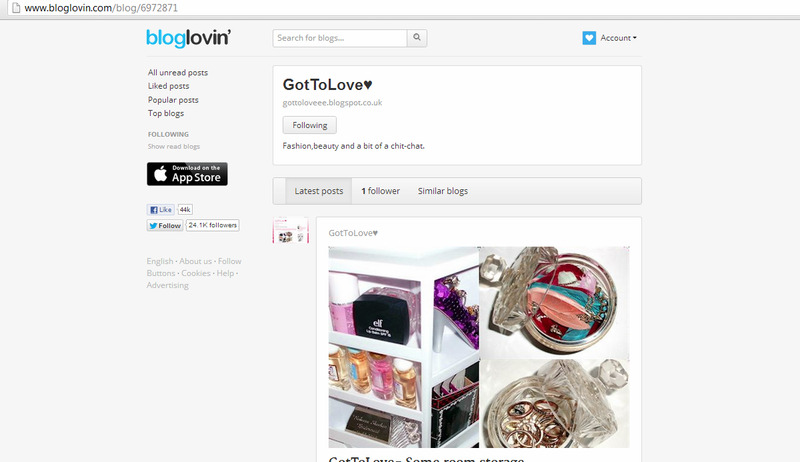 Follow my blog on bloglovin,!